Book Synoposis: The Guardian Angels is the epic and tumultuous story of two star-crossed lovers who weren’t just soul-mates but were also each other’s protectors. 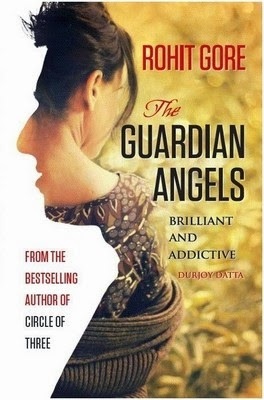 Review: I recently got a chance to read The Guardian Angels through Write tribe. On receiving my copy I instantly got down to searching more on the book and what other people had to say. Rohit Gore already has an established fab base, and for most of them this is by far his best book. A crossword bestseller, he has managed to enthrall readers throughout his previous two works as well. The story as mentioned ‘The guardian angels’ depicts the relationship between two super humans who despite all their differences are bonded by their nature to protect each other. Hence the name guardian angels. It has all the contemporary element of friendship, romance and the growing up fervour that marks the youth today. What worked for me was the deeply etched characters and a plot that fit in well between the two protagonists. What could have improved was the writing style in a few places. It tended to be very cliche and run of the mill. But despite the odd few loops here and there, the book was a good read. haha the next part is out! I loved how you broke down the write up of your review. Brilliant job! Story is interesting, no doubt. Awww take mine sweetie anyday! I enjoyed reading this one but yes, editing could have been better and even the length of book could have been reduced.